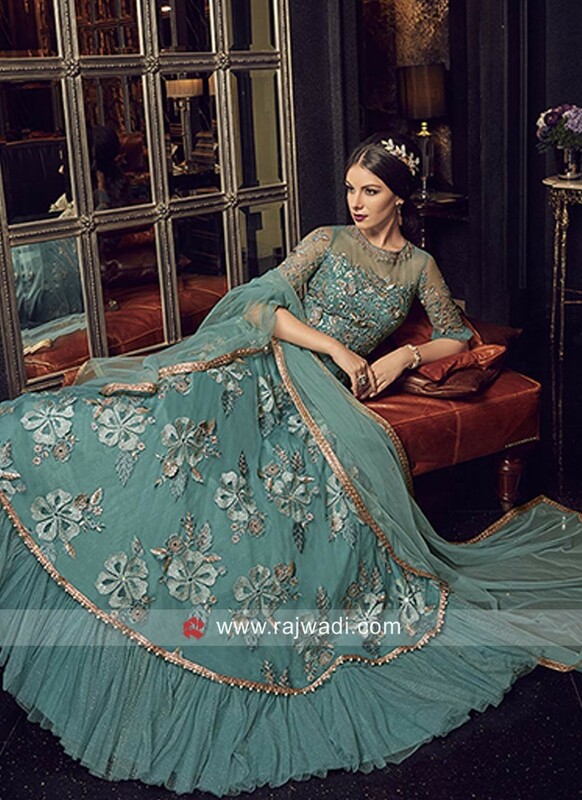 Add a refreshing twist to your wedding wear by adorning this Sea Green Net fabric floor length Salwar Suit. Featuring all over heavy embroidery with frill pattern border for a stylish look. 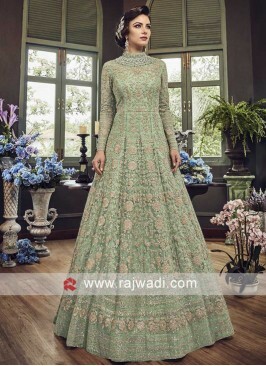 Comes with Crepe Silk bottom and Net dupatta with golden lace hem. 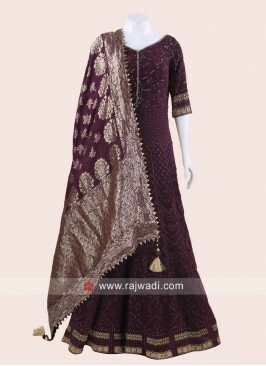 Maroon and Cream Salwar K..